If you can't be a good example be a warning. The funny t-shirt saying that's loaded with attitude. 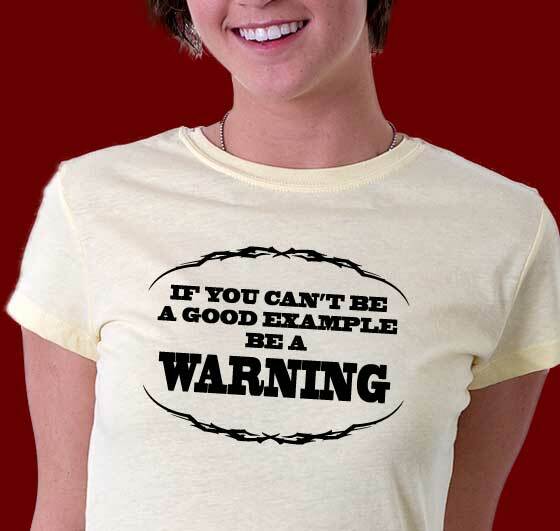 Not bad advice, if you can't be a good example be a warning. Excellent typography treatment enclosed with cool tribal markings.